The Saskatchewan government maintains that their proposed privatization of the province’s liquor retailing system will not result in diminished government revenues. However, this joint study by Alberta’s Parkland Institute and the Saskatchewan Office of the Canadian Centre for Policy Alternatives demonstrates that even with the existing mark-up and taxation regime in place, the government stands to lose millions in potential revenue under a privatized liquor system. The report, by David Campanella challenges a number of the government’s economic assumptions in regards to private liquor sales. Campanella's thorough analysis of the available data reveals no financial reason why Saskatchewan should sell its liquor retail assets. The Saskatchewan Liquor and Gaming Authority (SLGA) currently provides exceptionally high returns to the provincial government while addressing social concerns of alcohol use and avoiding spikes in retail liquor prices. 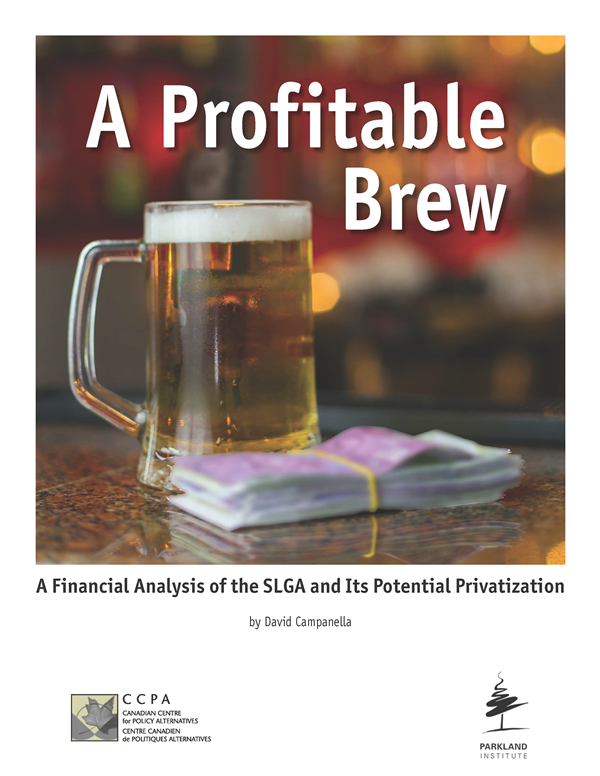 It would most likely earn even higher profits by directly owning and operating new liquor stores in urban settings, and it has achieved superior financial results in comparison to the privatized systems of Alberta and British Columbia.